One of Ryan Adams' finest live performances in Ireland, this one is from the Olympia Theatre, Dublin in 2002 and even has Jesse Malin guesting in the encore. There are many, many highlights including an alternative take on Bryan Adams' 'Summer of 69', so it's a must-download for all Ryan Adams fans. 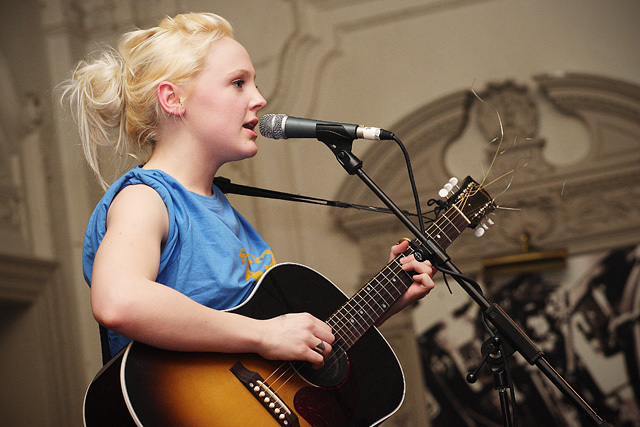 Tracklist for the new Laura Marling album, I Speak Because I Can, due out March 1st. The best thing about it is Heartbreaker and Gold producer Ethan Johns is at the helm of this one. I can't wait. The BBC have announced the winner of their Sound of 2010 list. Last year's winner Little Boots didn't have the same success as their number 2, La Roux. So anyone in the top ten could have a truly breakout year, but you should have a listen to all the acts and see who's worth watching. Other former winners include Mika, Adele, Keane and 50 Cent. Alessi's Ark is set to play an extensive UK & Irish Tour, starting in Cork and ending with a support slot for Laura Marling in Dublin and on her UK Tour. Her debut album, Notes From The Treehouse was produced by the splendid Mike Mogis and came out last year. Alessi Laurent-Marke promises to have some new material out this year. Perhaps an EP or a few singles. Nothing definite yet. Fantastic American country-popstrell Caitlin Rose will release her debut EP Dead Flowers on February 15th. Strangely enough Dead Flowers was also the name of Miranda Lambert's EP last year. 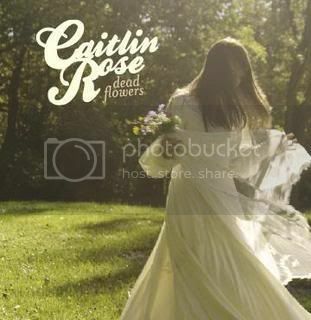 However, Caitlin's takes its name from the cover of the Rolling Stones' 'Dead Flowers' which appears on the EP. In case you're wondering, 'Three Cigarettes in an Ashtray' is a cover of that Patsy Cline song. Excellent. You can stream the EP in full online now ahead of its physical release. Animal Collective's Panda Bear (who is a worthy solo artist in his own right) will be returning to Dublin's Vicar Street on Friday the 12 of March. Not sure about ticket prices yet, but I'll let you know when I hear more! The nominees for this year's IMRO Meteor Music Awards have been announced. There's the usual names and faces as well as the total lack of David Geraghty in the Best Irish Male category. Jack L? Seriously? Didn't he only release a Best of this year, and hasn't released a successful single in years. The Awards Show will be held at the RDS on Friday, February 19 2010, and will be presented by Amanda Byram. Westlife, Snow Patrol, the Script, Florence and the Machine, Paolo Nutini, The Coronas, and Pixie Lott are all set to play live on the night. Thanks to Darragh Doyle for the heads up. The Besnard Lakes release their new album The Besnard Lakes Are the Roaring Night, and have made first single 'Albatross' available for download as an mp3 from their label Jagjaguwar/Secretly Canadian's website. The album itself comes out on March 9th, and they'll be playing CrawDaddy two weeks after on the 25th of March. Firstly, let’s get a few facts straight: Illinois is the best album I have heard so far this year; Illinois is the best album I’ve heard in a long time; and that’s not just my opinion either; many critics agree with me on this one. Also another fact: this could be the longest review I have ever written. Why? The album contains twenty-two songs, most of which are worth at least a page’s discussion. However, I plan to sum each song up in a few lines, because otherwise you’ll think this review is too long and won’t bother reading it. Another thing to make it easier on you is to shorten the song titles. It also makes it easier on me, and saves me typing out “The Black Hawk War, or, How to Demolish an Entire Civilization and Still Feel Good About Yourself in the Morning, or, We Apologize for the Inconvenience But You're Going to Have to Leave Now, or, 'I have fought the Big Knives and will continue to fight them until they are off our lands!'" The album opens with “Concerning the UFO Sighting Near Highland, IL” which features a piano melody that John Williams would be proud of. The music really does sound like flying saucers from the movies, however, this is not at all pretentious, and fits the song perfectly. The second track (and the one which has the longest title, mentioned above) “The Black Hawk War…” is a nice little instrumental song which leads perfectly into the outstanding “Come on! Feel the Illinoise!” The song has two parts (each in a different time signature, so musicians will easily know where one starts and the other begins). It does not feel like a two-part song though, just one seven minute masterpiece. Part 2 tells how the poet Carl Sandburg came to Stevens in a dream, and the listener will soon find themselves singing the line “I cried myself to sleep last night” at various times for the rest of their lives. Yes, the song really is that good. Track four, “John Wayne Gacy, Jr.” is an attempt to get into the mind of a serial killer. It features some of Stevens’ greatest song writing, and perhaps his finest vocal moment when his voice soars for the line “Oh my God”. Stevens makes the listener feel the song, feel the terror. The last part of the song is Stevens’ bravest moment as he compares himself to Gacy: "And in my best behaviour, I am really just like him". However, Stevens is never sympathetic to Gacy, instead denigrating him with the contempt he deserves. “Jacksonville” is centred around a really catchy melody, and does not pale in comparison to what has gone before. Like many of the songs, “Jacksonville” is about an important Illinois figure – President Andrew Jackson. Other notable Illinois people feature on the album: Carl Sandburg, John Wayne Gacy, Frank Lloyd Wright, Mary Todd Lincoln, Casimir Pulaski, and many others. Some of the songs such as “A Short Reprise for Mary Todd...”, “One Last ‘Woo-hoo!’ for the Pullman”, and “In This Temple…” are short songs which are mainly segues from the previous song into the next. “Decatur” is the song where Stevens must have pulled out the rhyming dictionary – it contains every possible word that can rhyme with “Decatur”. One line is “Abraham Lincoln was the great emancipator”. Who ever thought they would ever hear the word “emancipator” in a song? “Chicago” features a choir and brass section, which enhances Stevens’ usual banjo playing. It’s also one of the happiest songs he has ever written. “Casimir Pulaski Day” vies for the title of the best song on the album. And there sure are a lot of songs vying for that title. Stevens questions God while remembering a lost loved one. The lyrics truly are beautiful. "Tuesday night at the Bible study, we lift our hands and pray over your body. But nothing ever happens" may even cause the listener to question things – it’s that damn powerful and moving. The album could even have ended here, and it still would have been perfect. But when you’re as ambitious as Stevens is, you just don’t know when to stop. And luckily for music-lovers everywhere, he doesn’t know when to stop. “To the Workers of the Rockford River Valley Region…” is a nice jazz-infused instrumental, and leads into the rockier “The Man of Metropolis Steals Our Hearts.” The verses and trashy guitar sections contrast perfectly with the all female choir of the chorus. The track is another inspired moment from the genius that is Sufjan Stevens. “Prairie Fire That Wanders About” is another hymn-like tune, which could have been sung eight hundred of years ago. “The Predatory Wasp…” is the biggest ballad on the album, and could well be a future single for Stevens. He might have to shorten the title of it a bit though! “They Are Night Zombies! !...” features an overabundance of exclamation points in the title, but this is what we have come to know and love about Stevens – his love of bizarre titles to match his bizarre songs!!!!!!!! In Illinois there are a lot of ghost towns, and “…Night Zombies…” is “basically kind of dramatization of ghosts from old ghost towns being exhumed and coming to life and chanting their names” according to Stevens. The song itself is a successful attempt at a funky disco. “Let’s Hear That String Part Again…” is less a reprise of what’s gone before, and more a beautiful instrumental piece which combines with “In This Temple…” to lead into “The Seer’s Tower” – the name is a pun on Chicago’s famous Sears Tower. The song is very downbeat in tone and instrumentation – just Stevens and a piano, with those Night Zombies on backing vocals once again. “The Tallest Man, the Broadest Shoulders” will soon be a clap-along classic, as Stevens will need the audience to do all the clapping on his live shows. Come and visit Ireland, Sufjan, I’d be more than happy to clap along! The first section, “The Great Frontier” is a beautiful Polyphonic Spree type song, as it surely must feature as many people as the Spree in the chorus. The last song “Out of Egypt…” is the longest instrumental track on the album, and brings the album to a beautiful close. Tracks to Download: Buy this album, download this album, steal this album, by whatever means get this album! 9.5 – The best album of the year so far. But somehow I doubt anything will better it. He has his work cut out if he plans to make another 48 albums as good. Both the first and second halves of the album would have been excellent albums in their own right. If Bright Eyes is the new Dylan, Sufjan Stevens is the new Neil Young. Now hopefully he’ll get the recognition he deserves. There's allegedly a new Joanna Newsom album due in 2010. I, for one, am very excited about this prospect. She's worked with Jim O'Rourke to make the follow-up to the stunning Ys, and production finished up in November. (Or so I hear) We have no idea of a release date or a title, but she has played some new songs live, so maybe we'll be hearing studio versions of these in 2010. 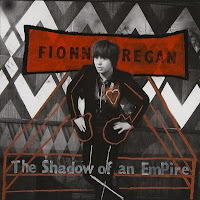 The excellent Fionn Regan releases a new album in 2010, The Shadow of an Empire will come out on February 5th on Universal Records. The album is preceded by the splendid single 'Protection Racket'. The album is a bit more rocky in places than his last record, but I'm not going to give any more away! Thanks to Peter over at 2uibestow for the heads up on this one. Uber-blogger UnaRocks or Una Mullally as she's known to her friends launches her brand new TV show on TG4 on Thursday the 14th of January. It's called Ceol Ar An Imeall (that's Music on the Edge ás Gaeilge). It'll be on at a quarter to twelve p.m. (a terrible time, but we'll all stay up to watch it), and is bound to feature some great acts. The first edition has an interview with Speech Debelle as well as live music from Valerie Francis. I wonder will Debelle have a cupla focal for us! Northern Irish band Two Door Cinema Club will release their debut album Tourist History on March 1st. They'll release lead single 'Undercover Martyn' a few weeks ahead of the album, on February 22nd. The day before that, February 21st, sees them play the Academy in Dublin for the NME Shockwaves Tour with the Maccabees, which should be excellent. Read below for a full list of their Irish dates. A new year, a brand new feature. I hope you all enjoy it! Click to enlarge. #1 is called 'Paranormal Activity', expect more in the coming weeks and months. Jared Leto's foray into the music industry are doing quite well for themselves, they've had top ten chart success, and will play Dublin's O2 in February. The show will take place on Friday 26th at 8. Tickets cost €39.20 (including booking fee) and are on sale now. "We wanted Kristian to create something which would embody the Yellow Bird Project, something which is in any way inspired by YBP - whether that be lyrically, melodically, or thematically... So, in true DIY fashion, we contacted him and we asked nicely... And in true DIY fashion he wrote, and recorded a song - just for us. Two demos later, here we are."